With over 40 cases of MUMPS hitting the Harvard University campus it would be easy to blame the non vaccinated were it not for the fact that in almost, if not all cases the people contracting the mumps in the recent outbreak are vaccinated. The media is trying like hell to spin this as a normal failure of the vaccine and is claiming it is not a scandal totally ignoring that fact that the scientist Stephen Krahling and Joan Wlochowski, filed a whistleblower lawsuit in 2010 claiming MERCK had falsified data regarding the effectiveness of the mumps vaccine. The media also seems to be over focusing on the Harvard University outbreak and ignoring that a much larger outbreak is occurring across the United States. Indiana has at least 93 cases of mumps this year. Similar outbreaks are occuring in Iowa, Colorado, and other states. News of an outbreak of mumps, which infects salivary glands, has drawn antivaxxers like moths to a swollen red flame. They’ve seized on the fact that students sickened in Harvard’s outbreak were all vaccinated—supposed evidence that vaccines are full of lies. It’s true the mumps vaccine isn’t the most effective, but that’s established fact, not a scandal. The efficacy rate hovers around 78 percent for the first dose, and 88 percent for the second dose. (Mumps is one part of the three part MMR vaccine that also protects against measles and rubella.) And like all vaccines, its efficacy can wane over time. That means doctors expect to see anywhere from 200 to 2,000 cases of mumps every year—down from 186,000 before the vaccine was implemented. So this particular outbreak? “This is not an unusual situation,” says Cristina Cardemil, a medical epidemiologist at the Centers for Disease Control and Prevention. Even in a college, where students are usually required by law to have two doses of the MMR vaccine. Actually, mumps is more likely to infect campuses, because it spreads through saliva, either through kissing, sharing food and utensils, or droplets in the air from coughs and sneezes. Because of widespread immunization, mumps isn’t common. But once it gets into a population, it’s quite contagious. “It can take just one or two people to have the disease spread pretty easily,” says Cardemil. The first two cases at Harvard were detected in February. It’s impossible to know exactly how many people have been exposed, but the 40 cases so far are still just a tiny fraction of Harvard’s undergraduate population of 6,600.No vaccine is 100 percent effective, and scientists don’t know exactly why it fails in some fraction of people. With mumps, the vaccine is made from a live but weakened virus—which is a little different from the actual circulating virus that gets people sick. That’s good, because you don’t want the vaccine to get people sick. But the downside is that the immune system might whiff it. 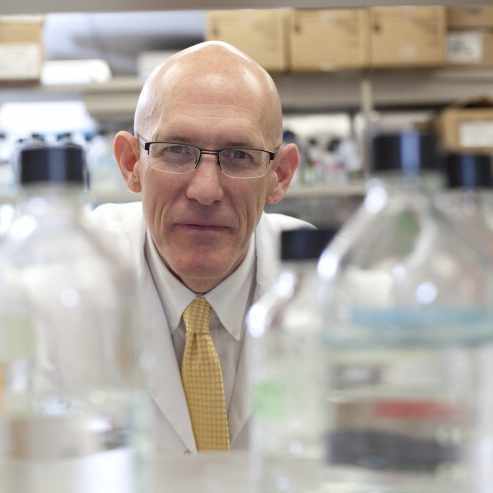 Gregory Poland, who heads Mayo Clinic’s Vaccine Research Group, says his lab has actually tried to study what why the mumps vaccine sometimes fails and didn’t get funding. Mumps just doesn’t kill enough people to be a public health priority.It’d be better to find more effective vaccines for infectious diseases—especially those with notoriously low efficacy, like the pertussis vaccine. But a few infections in students doesn’t mean it’s time to shut down vaccination requirements. Just imagine what out breaks would look like if only, say, half of all students got vaccinated. Undervaccination contributed to last year’s measles outbreak in California. And Angola is currently experiencing a resurgence of yellow fever thanks to low vaccination rates.With vaccination, outbreaks will still happen—but they’ll remain small. The past couple of years alone, campuses at Ohio State, Fordham, University of Illinois have had their own mumps outbreaks. This year, it’s just Harvard’s turn. Shawn, I think you are 100% correct the ones catching the mumps are lucky because they are gaining lifelong immunity along with the benefits that come along with it. Actually, the Harvard outbreak means some of the vaccinated kids lucked out – despite the vaccine they were able to mount the full, traditional constellation of mumps symptoms, which has been shown to correlate to lower probability of ovarian cancer in women, and very likely testicular cancer in men. The sobering questions are how many students developed a mumps infection, without the attendant parotitis; could they then surreptitiously infect others; and what effect will a subclinical case of the disease have on them later in life.